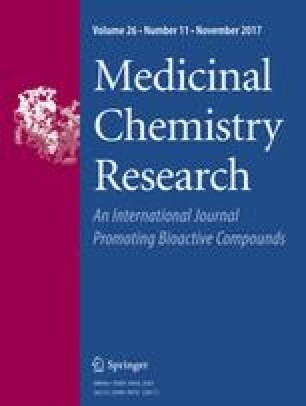 A series of 4-aryl-4′-methyl-2′-aryl-2,5′-bisthiazole derivatives (5a–o) were synthesized and screened for inhibitory activity against Mycobacterium tuberculosis H37Ra (ATCC 25177) and Mycobacterium bovis BCG (ATCC 35743) strains. Five lead compounds (5e, 5f, 5g, 5h, and 5o) were further confirmed from their dose dependent effect against MTB and Bovine–Calmette–Guerin. The most promising compounds 5f (MIC90: 11.32 µg/mL), 5h (MIC90: 11.59 µg/mL), and 5o (MIC90: 23.64 µg/mL) showed strong antitubercular activity against dormant MTB and BCG as well as almost insignificant cytotoxicity up to 100 µg/mL against HeLa, A549, and PANC-1 human cancer cell lines. Further, the synthesized compounds were found to have potential antibacterial activity against Gram-negative bacteria, Escherichia coli, Pseudomonas flurescence and Gram-positive bacteria, Staphylococcus aureus, Bacillus subtilis. Most of the synthesized compounds showed moderate activity against fungal strain Candida albicans. Molecular docking studies of these compounds showed significant interactions with crystal structure of the cytochrome P45014α-sterol demethylase (CYP51) PDB ID: 1E9X. Hydrogen bond interactions with SER261 and VAL395 are important interactions for selective inhibition of designed inhibitors. Compounds 5f, 5h, and 5o showed significant interactions with 1E9X. All the experimental results promote us to consider this series as a starting point for the development of novel, selective and more potent antitubercular agents in the future. The online version of this article (doi: 10.1007/s00044-017-1988-5) contains supplementary material, which is available to authorized users. YKA expresses her gratefulness to CSIR [File No. 08/590(0001)/2012-EMR-I] for the financial support. PCM would like to thank University Grant Commission (UGC No. 42-355(SR)/2013), New Delhi, India for the financial assistance and CSIR-NCL, Pune for supporting biological activity. Central Analysis facility, Savitribai Phule Pune University, Pune is also acknowledged for spectral analysis.